Sermon on Mark 6:14-29 offered to the people of the Church of the Redeemer in Bryn Mawr, Pennsylvania. Audio for this sermon may be heard here. When it comes to cultural influence, few films compare with The Godfather. From lines like “I’ll make him an offer he can’t refuse,” to iconic scenes like the one where a movie executive finds a severed horse head in his bed, references to The Godfather abound in every aspect of popular culture. Perhaps the most well-traveled trope from this genre defining gangster film comes from the opening sequence of the movie, in which Marlon Brando’s character is hearing requests and dispensing advice on the day of his daughter’s wedding. Robert Duvall’s character explains: “No Sicilian can refuse any request on his daughter’s wedding day.” Though this idea has been thoroughly parodied, this statement sets up an important dynamic for the rest of the film: though this family is engaged in criminal activity, honor and reputation are very important to them. 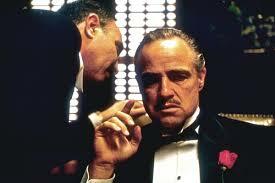 For the godfather, keeping one’s word is the highest good, trumping law, morality, even the preservation of life. This morning, Mark’s gospel tells us a story about how keeping one’s word can lead to trouble. The first thing to notice about this story is its length. Of the three gospels that describe the execution of John the Baptist, Mark devotes the most space to the telling of the story. While this may not seem significant, Mark tends to be incredibly economical with his language. The fact that this story takes up as many verses as it does, in other words, means we’re supposed to pay particular attention to it. And this is surprising, because while this story is ostensibly about John the Baptist, a pivotally important figure in the gospel, all of the action centers around King Herod. Now, this is not the Herod from the Christmas pageant. This is, rather, his son, a client of the Roman Empire who has been given titular authority in Judea in exchange for his loyalty and obeisance to the emperor. King Herod is an empty shirt who can only exercise authority with the permission of his Roman masters. But Herod desperately wants to project the image of power and authority, as we see in the scene that Mark sets this morning. The king is throwing a lavish birthday party, to which he has invited all the leading citizens. He’s hobnobbing with the beautiful people, eating fancy food, and in all likelihood, drinking too much wine. As part of the entertainment, his step daughter dances provocatively for the assembled guests, leading Herod to promise that he will give her even half of his kingdom. Notice that he can’t keep this promise: remember, it’s not his kingdom; at best he’s a steward, at worst he’s an impotent puppet. Now Herod is hamstrung by a promise he should not have made and might not be able to keep. This leads to Herodias’ grisly request; in a Gothic twist, John doesn’t enter his own martyrdom story until his severed head appears on a platter. 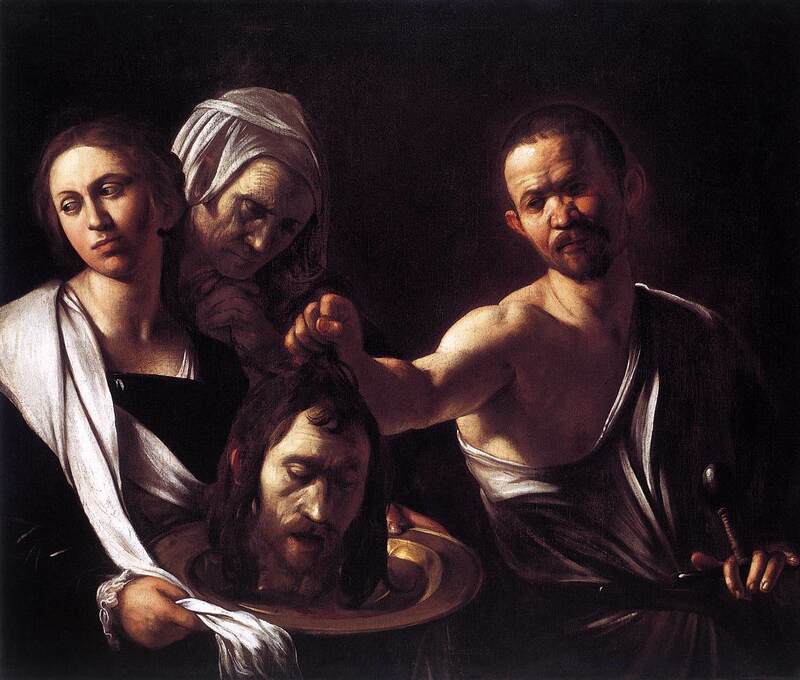 While Herodias’ gruesome demand for the head of John the Baptist may sound like a horrifying overreaction, it’s important to remember that first-century despots would kill people for even perceived slights. What is actually more surprising is Herod’s reluctance to execute John. The reason for his hesitancy is unclear; perhaps he was compelled by John’s charismatic authority, perhaps he feared a revolt among the people, as Matthew’s gospel implies. Regardless of the reason for his disquiet, it should have been enough to save John. It is striking that Herod, who wants people to think he is the master of everything around him, gets played like a fiddle by the people in his court. He is so concerned about saving face, about “having regard for his oaths,” about keeping up appearances, that he is willing to send an innocent man to his death. He could have very easily refused Herodias’ request; indeed, he could have easily released John. Instead, he abdicates his power in order to preserve the appearance of authority. This story is recapitulated when Jesus is brought before Pilate, who is also more interested in projecting the image of authority than he is in actually exercising authority. In some ways, this story of John’s death feels like a non sequitur. After all, this salacious, tabloid-ready account of John’s grisly execution is sandwiched between two fairly straightforward and seemingly unrelated passages about the triumphant mission of Jesus’ disciples. But this abrupt narrative transition is not clumsy storytelling; it actually illustrates an important theme that runs through Mark’s gospel. For Mark, the death of John the Baptist and the mission of the disciples are deeply related. Indeed, by juxtaposing these two stories, Mark is making a profound statement about the nature of discipleship. Of course, his most obvious point is that being a follower of Jesus has a cost. Even as we hear about the dazzling successes of the disciples, we are reminded that the forerunner of Jesus was executed for zealously proclaiming God’s righteousness. But in addition to this observation about the cost of discipleship, Mark is making a subtler and more important point. You’ll remember from last week that when Jesus sent out the disciples, “he ordered them to take nothing for their journey except a staff; no bread, no bag, no money in their belts; but to wear sandals and not to put on two tunics” Moreover, he gave them no instructions about what they should preach, except repentance. When Jesus sends out the disciples, in other words, they are completely unencumbered by possessions or expectations. This stands in sharp contrast to Herod, who is imprisoned by the trappings of wealth, enslaved by the illusion of power, and hamstrung by his own vain promises. Even as he nurses doubts about killing John, Herod succumbs to the worst kind of legalism: he keeps his word only so that he can say he kept his word. Like Pilate after him, Herod is rendered powerless by his desperate desire to retain power. Mark’s point is clear: while Herod was weighed down by his oaths and kingly baggage, the disciples are free to go out into the world carrying nothing except Jesus’ proclamation of repentance. 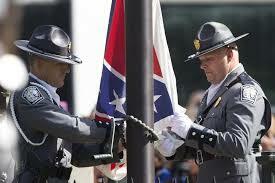 This week, the South Carolina legislature voted to remove the Confederate battle flag from the grounds of the state house in Columbia. While this is yet another important step as our country continues to respond to the gruesome massacre at Mother Emanuel in Charleston, it’s important for us not to let the removal of the flag be the end of this story. We must continue the conversation about privilege and systemic racism. All too often I and people who look like me are too embarrassed to talk about race, too preoccupied with maintaining appearances, too ashamed to admit that we still benefit from a system that has historically excluded people who do not look like me. But Jesus’ proclamation of repentance calls us to look past our own embarrassment and acknowledge that we do not have to say or do anything explicitly racist in order to benefit from a racist system. This is an unsettling place to be, because the world we live in requires us to present a carefully curated and idealized self-image designed to be as inoffensive and “likeable” as possible. Admitting there is a racist system shatters this scrupulously cultivated persona. Normally, because of this pathological need to maintain appearances, we shy away from real conversations and refrain from asking difficult questions. But ultimately, this Herod’s way of looking at the world. Our preoccupation with the way that we appear to those around us leads us to dodge authentic conversations and avoid real relationships. Jesus calls us to something greater. Jesus calls us to repentance. Repentance requires us to leave everything behind, including our expectations of those around us and our preconceived notions about who we are. Our authentic proclamation of the gospel asks us to engage with the world unencumbered by the trappings of our idealized self-image. We are called to leave behind our attachment to power and privilege and proclaim Jesus’ message of repentance and transformation to a broken and hurting world.